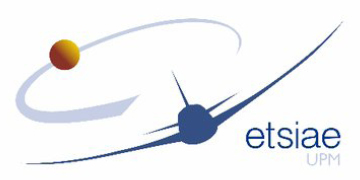 The School of Aeronautical and Space Engineering (ETSIAE) arise from the challenge to be adapted to the European Higher Education Area (EHEA). We cannot speak about a new school because it emerged from the merger of the two Schools of the Technical University of Madrid (UPM) that have, during more than 150 years, trained aeronautical engineers and aeronautical technical engineers: Escuela Técnica Superior de Ingenieros Aeronáuticos (ETSIA) and Escuela Universitaria de Ingeniería Técnica Aeronáutica (EUITA). During the twentieth century, studying the different majors of engineering of the aeronautical field involved going through the classrooms of the UPM, since ETSIA and EUITA were the only institutions offering these degrees throughout Spain. Those who today are well renowned high professionals in the aerospace sector studied here. The ETSIAE follows the path of its predecessor schools in relation to the higher education and their accumulated experience. Tradition, prestige and know-how are distinguishing features that are maintained during this new era. Talent, vocation, versatility and effort are qualities still maintained in our graduates. In a nut shell, the specialized education and quality offered, do convert ETSIAE in a first line centre within the international aerospace field. The website www.eucass2019.eu is published by Carte Blanche®. Its purpose is to inform you about the 8th European Conference for Aeronautics and Space Sciences (EUCASS 2019) and allow you to register. Carte Blanche® undertakes that the collection and processing of your data made from this site comply with the General Regulation on the Protection of Personal Data (GDPR) effective since May 25, 2018 and with the French law Informatique et Libertés of 6th January 1978.